Can Rachael escape the danger that threatens her by finding the love she thought she'd never find? A woman who values her independence above all else, Rachael Gooding excels at keeping men at a distance. Wielding her exotic good looks and razor sharp wit to intimidate rather than attract, she's managed to avoid the pain and complications she knows would come with a serious relationship. 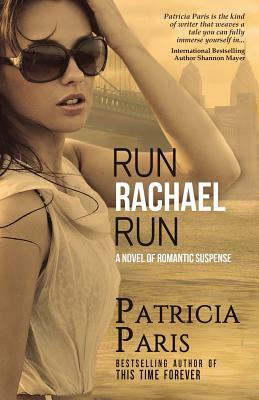 At the top of her game, Rachael believes all's right with her world, but when a dangerous, unknown stalker begins to threaten her, she's forced to turn to Detective Eugene Simms, a man she's wildly attracted to but has never been able to intimidate--one she fears could break her carefully guarded heart if she gave him the chance. When a man from her past is murdered in the park across the street from her apartment, Rachael must decide whether to tell Simms about her past and risk exposing everything she's spent the last ten years guarding so carefully. But telling all she knows may mean giving up something she's always wanted but never thought she could have.